NiK Kacy is a fashion line inspired by the fashion needs of both its founder and the larger LGBTQ community. NiK Kacy, who identifies as gender-fluid, queer and trans, designed their first collection of ''masculine of center'' gender-neutral shoes in order to provide a solution for the on-going problem of individuals unable to purchase men's styled shoes due to limitations in sizing set by the shoe industry based on gender. Their first collection, named ''Fortune'', consists of 5 classically masculine looking styles, now modernized with colorful contrasts and re-proportioned to fit those who identify in whatever spirit they deem fit. NiK's desire for gender equality extends further by expanding their label to include an upcoming ''feminine of center'' collection, featuring high-heel styled shoes in the same European unisex sizes ranging from 34-47 (US women's 3.5 to men's 14), as well as, a unisex accessories line, including holster wallets. 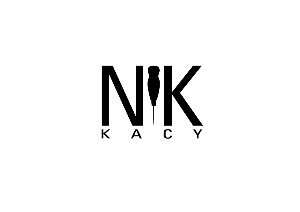 NiK Kacy has been featured in numerous publications including Fortune and Forbes Magazine, The Huffington Post, Footwear News, SheWired, Autostraddle, Curve and DapperQ. They successfully completed a Kickstarter campaign in March of 2015 to fund the creation of their Fortune line and hopes to develop a truly gender-neutral footwear and fashion collection so that all people can express their authentic selves without being boxed in a gender binary. NiK Kacy's philosophy is simple... fashion is about style, and style is not limited by gender or gender expression.